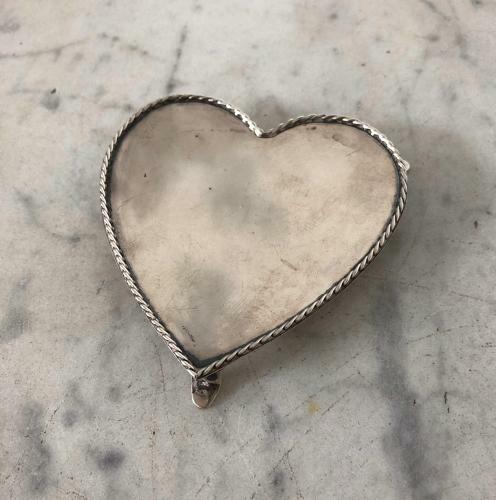 Very pretty solid silver heart shaped pin tray. Great for putting rings or earrings on etc. Good condition. Hallmark dates to 1920.